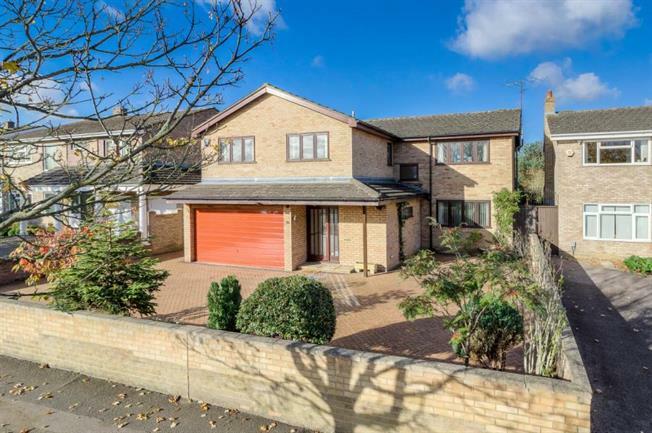 6 Bedroom Detached House For Sale in Bedford for £700,000. A well presented five double bedroom detached home located in one of Bedford's most prestige roads. The property is excess on 2400 square foot and provides large living accommodation and bedroom space. The property comprises of entrance porch, entrance hall, lounge with feature fireplace, family room overlooking the garden, dining room which leads to the conservatory, large kitchen breakfast room with utility room off the kitchen also downstairs has a shower room. Upstairs offers five double bedrooms with en-suite to master bedroom and fitted wardrobes in four of the other bedrooms, the four bedrooms are all serviced by the family bathroom, there is also a study on the first floor. Outside offers driveway leading to a double garage and large enclosed rear garden.